Pop the Bublé ’cause it’s party time. Why be sad over a breakup when you can just parade in the streets about it? 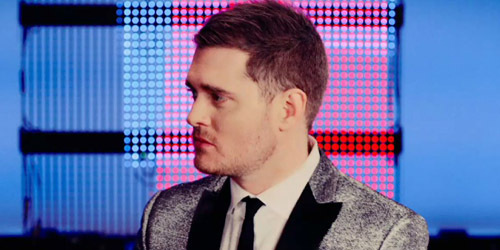 That’s part of the concept of the video for this hit from Michael Bublé, a poppy and peppy track that just makes you want to smile and wipe those blues away. From his #1 album To Be Loved, “Beautiful” was cowritten by Bublé, Alan Chang and Amy Foster, and produced by Bob Rock. The single debuted on February 25 and it immediately impacted my top 40, rising quickly to #1 on the chart dated April 14 and spending four weeks there, tied for his second-longest run at the top. (2007 single “Everything” also achieved the same amount of time there.) With a quick rise also came a quick fall as the song failed to make as significant an outcome nationally as “Haven’t Met You Yet” made three years prior. Still, it went top 10 on his core radio format, Adult Contemporary, and once again provided the soccer moms (and maybe even chart geeks) with something to sing along to. “Beautiful” also garnered some pretty beautiful peaks worldwide, going top ten in several European countries like Belgium, Finland and the United Kingdom. The current U.S. single from the effort is “Close Your Eyes”, which is doing moderately well on the AC airwaves. “After All”, a duet with fellow Canadian Bryan Adams, and a cover of “You Make Me Feel So Young” have also received the single treatment in Europe, but to little chart activity. Congrats Michael on another great hit! His worldwide tour picks up again January 11 in Paris, France. That’s what makes you “Beautiful”. Our favorite Canadian crooner is back! 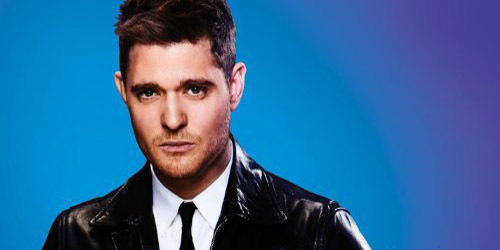 37-year-old Michael Bublé returns with his first regular studio album in three-and-a-half years, To Be Loved, which is out on April 23 here in the States. Of course, his 2011 seasonal release, Christmas, rocked the charts once again this past holiday season, with two singles from it being released to radio: “Cold December Night” and a virtual duet with Bing Crosby, “White Christmas”. They both did particularly well on his core format, adult contemporary radio. I’m sure you caught his NBC special as well. However, we’ve been due for some original music from the guy for a few years now. It’s been over two years since “Hollywood” was released and I loved that one a lot. It peaked at #1 on my chart for two weeks, his third song to make it to the top. Now, our first taste of some new selections from the album comes via the first single from the effort, a sunny little single called “It’s A Beautiful Day”. It’s one of several original songs on the album, which includes duets with Bryan Adams, Naturally 7 and Reese Witherspoon. There are some interesting cover choices as well, though it appears we’re getting more original content from him this time around than on previous albums. More information about that is on iTunes, which you’ll see a link for below. This song essentially picks up where “Haven’t Met You Yet” left off, except that now Bublé has met the girl, it sounds like she ain’t all that. She wants to be friends, but he’s played that game before and he’s heard it all. Plus, she ends up running off! Rude. I mean, too bad for her. Even if this ends up being your new soft rock break-up song, it’s surprisingly cheerful. He’s happy that she’s out of his life. He wants to be free. It’s like everything around him turns into a musical where he’s the star. I can see the video already. He struts through the streets, patrons twirling out of restaurants with plates in hand, cyclists in formation on each side of him. It would be a flash mob like no other. Hey, maybe it will happen. In the end, I guess he got his wish. It’s a beautiful day in the neighborhood and Mr. Rogers didn’t even need to stop by. How charming. He has a smooth mix of drum, guitar, piano and some strings behind him at times, but it all blends together into a musical masterpiece that will please all of Bublé’s fans. I mean, how can you not smile when he’s smiling too? Look for this one to, not shockingly at all, be a huge seller and a good-sized hit on the adult contemporary survey. If “Yet” could crossover to CHR radio, maybe this one will have a chance closer to the summer months. The format’s taking more chances now then when that prior single was a hit, so it bodes well for him. Until then, get your fill with the link and lyrics below. Have a “beautiful” time listening! BUY “IT’S A BEAUTIFUL DAY” ON ITUNES. Listen to a 90 second preview of the song. For more song premieres, follow the blog by clicking the tab below or follow me on Twitter: @AdamFSoybel.